Click to enlarge. Hope you can make one or both gigs. 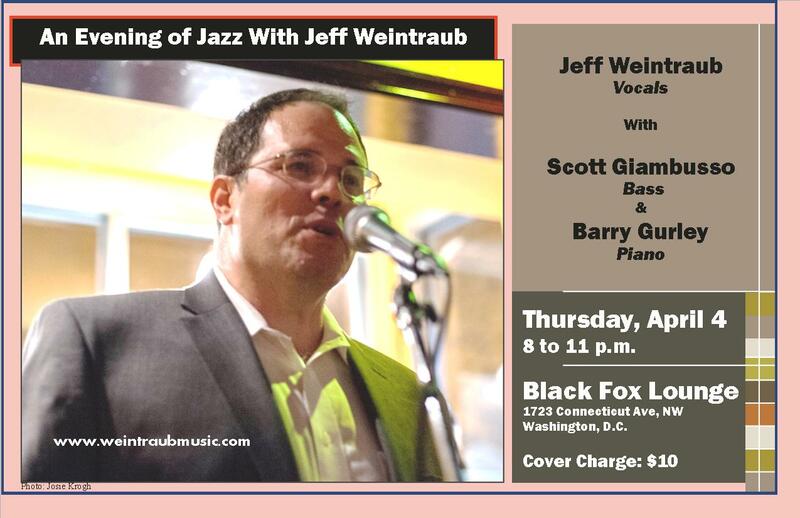 Thursday, April 4, 8 to 11 p.m., the Black Fox Lounge, 1723 Connecticut Avenue NW, Washington D.C. Backing me up will be D.C.-area veterans Scott Giambusso on bass and Barry Gurley on piano. This is my first full show at Black Fox (I sat in with others once before), so I’m excited. Cost: a mere $10 cover, no minimum. Click here for directions. I hope you can make it to one or both.